Roy Wood & his Band will play one night only at the Kings Theatre Glasgow on 26th February 2017. Don’t miss this exclusive show, buy your tickets today! 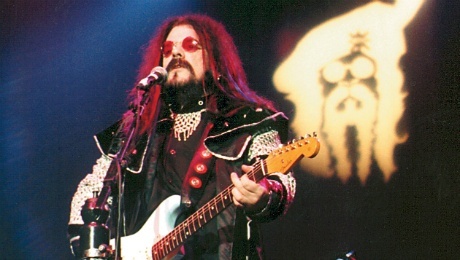 The Kings Theatre Galsgow will take a step back in music history this February when Roy Wood & his Rock ‘N Roll band perform all his classic hits, including I Can Hear The Grass Grow, California Man, Flowers In The Rain, Blackberry Way, See My Baby Jive, I Wish It Could Be Christmas Everyday and more. Roy was born in Birmingham and is first instrument was the drums, he then took up playing guitar, and formed a group called The Falcons at the age of fourteen. He had been writing songs, and at seventeen he became founder of The Move, who went on to enjoy multiple chart successes with songs all written by Roy himself, including Flowers In The Rain, which reached No. 2 in the charts. Also Night Of Fear, Fire Brigade and I Can Hear The Grass Grow were all top five hit singles, and also a number one record in the British singles chart Blackberry Way. In 1970, Roy teamed up with fellow Birmingham songwriter Jeff Lynne, who joined The Move for their final two albums. The final single recorded by The Move during this period was California Man. Roy had an ambition over a number of years, to form a classically based band featuring live strings instead of the conventional guitar line up. Together with Jeff, they formed The Electric Light Orchestra. The support Act for the evening will be Nik Lowe, an acoustic crooner like no other. It’s hard to put Nik Lowe into one particular genre of music because Nik’s song-writing style covers most genres including soul, pop, rock and blues.